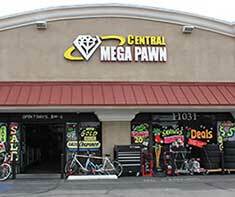 Central Mega Pawn is one of the leading pawn shops in the Inland Empire. Offering quick and easy pawn loans to our customers from Ontario, Upland, Pomona, Claremont, Montclair, Chino, Chino Hills, Rancho Cucamonga, Alta Loma and the surrounding communities for over 10 years. Providing short term loans to help those in a bind and need cash fast is our priority. 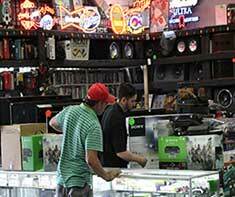 As a pawn shop we also offer great deals on all types of merchandise including Jewelry, Gold, Silver, Coins, Tools, Games, Electronics and more. When you want to buy, sell, or pawn just about anything of value, Central Mega Pawn is just the place to accommodate your needs. Our pawnbrokers will offer top dollar, reasonable prices and great interest rates on loans. So if you are looking to get rid of your old or unused items of value or are just looking to save money on quality merchandise. 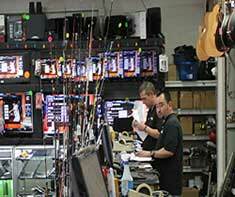 Come visit us at Central Mega Pawn TODAY!. Shop our extensive inventory of merchandise online and save up to 40% off of retail prices . Its easy, fast and convenient. 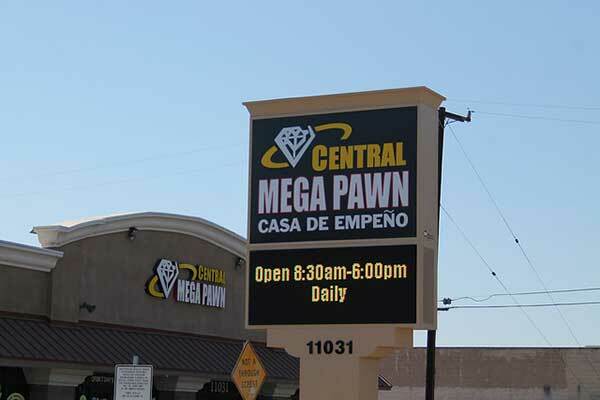 Central Mega Pawn always intends to exceed all of your expectations of your Pawn Shop experience. We are committed to providing the highest level of customer service to all of our valued customers from Ontario, Upland, Pomona, Claremont, Montclair, Chino, Chino Hills, Rancho Cucamonga, Alta Loma and the surrounding communities. Central Mega Pawn offers customers a quick, convenient and confidential way to borrow money. 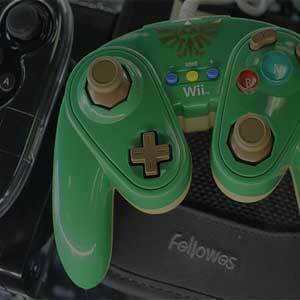 Our pawn shop provides instant cash loans on a standard 4-month period using your valuable possessions as collateral. Getting a pawn loan from a pawn professional has never been easier. 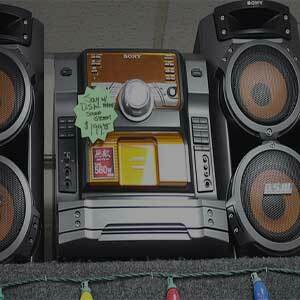 Central Mega Pawn offers you the option of selling your unwanted or no longer needed items. 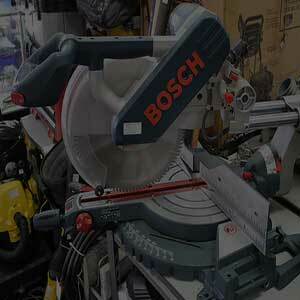 We offer competitive and fair pricing and are always willing to negotiate with you on your selling price. We even buy broken jewelry, collectibles, antiques and all types of items of value. Central Mega Pawn sells almost anything for your every need. We sell a wide variety of merchandise including Jewelry, Coins, Currency, Bullion, Sporting Goods, Musical Instruments, Tools, TVs, Computers & Tablets, Cell Phones, Video Games and Consoles, Cameras, and so much more. Need a loan fast? In a bind and need cash quick? Did you inherit a coin collection or some old jewelry? If you said yes to any of these questions or you just want to borrow some money until payday let the friendly professional staff at Central Mega Pawn help you get the cash you need. 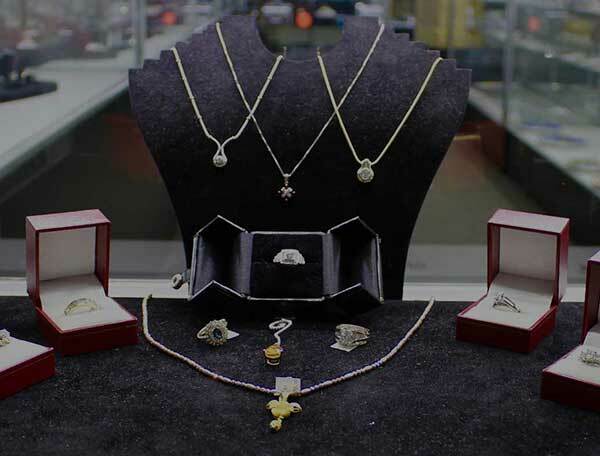 We offer loans on most anything of value including gold, silver, platinum, diamonds, rubies, precious gems, precious metals, jewelry, broken jewelry, jewelry that needs to be appraised or repaired, gold jewelry, silver jewelry or sterling silver jewelry, old jewelry, new jewelry , custom made jewelry, rings, ear rings, bracelets, necklace, brooches, we also pawn and lend, sell and buy all kinds of tools of all kinds including Hand tools, power tools, electric tools, air tools, drills, saws, reciprocating saws, jigsaws, miter saws, chain saws, concrete drills, concrete tools, carpenter tools, hammers, screwdriver sets, drill bits, vacuums and more, we also pawn and lend, sell and buy all types of electronics like flat screen t.v.’s, blue ray players, smart phones, cd players, camera equipment, dslr cameras, digital cameras, mp3 players, radios, videos, cds and more. 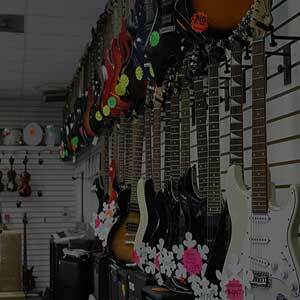 We also pawn and lend, sell and buy musical instruments such as clarinets, saxophones, guitars electric and acoustic, keyboards, drum sets, bass guitars both electric and acoustic, trumpets, tubas, oboes, symbols and more. At Central Mega Pawn we are known for our inventory and ability to pawn and lend, sell and buy all types of guns including handguns, shot guns, rifles and the equipment and gear that goes with these items. we also pawn and lend, sell and buy old coins and currency, old collectables, antiques, oddities such as pinball machines or movie set pieces, autographs of all kinds including celebrity autographs autographed photos, autographed sports memorabilia and more. casa de empeno Mega central ha estado sirviendo a las necesidades de empeno y de prestamos de residentes en Ontario, Upland, Ontario, Pomona y las ciudades de los alrededores durante mas de 10 anos. Nuestro personal amable y capacitado tiene experiencia en prestamos sobre todo tipo de articulos, incluyendo oro, plata, joyeria, monedas, diamantes, armas de fuego, electrodomesticos, herramientas, computadoras, telefonos cellulares, iPads, camaras, instrumentos musicales como guitarras, saxofones, juegos de bateria y practicamente cualquier cosa de valor. En Central Mega Pawn pagamos los precios mas altos posible y prestamos en mas variedad de artculos que nadie en la zona. Asi que, la proxima vez que necesite algo de dinero extra, visite o llame a los profesionales de Central Mega Pawn. Central Mega Pawn offers customers a quick, convenient and confidential way to borrow money. 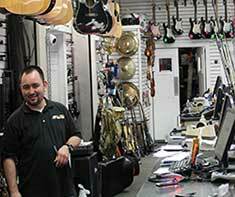 Our pawn shop provides instant cash loans on a standard 4-month period using your valuable possessions as collateral. Per California law, you can pay-off your loan (or loans) as quickly as you wish for a discounted rate. There is no minimum or maximum loan period. The maximum loan amount will depend on the value of the collateral and APR interest rates can vary from 2% to 35.99% based on the value of your collateral as well as the length of the loan. 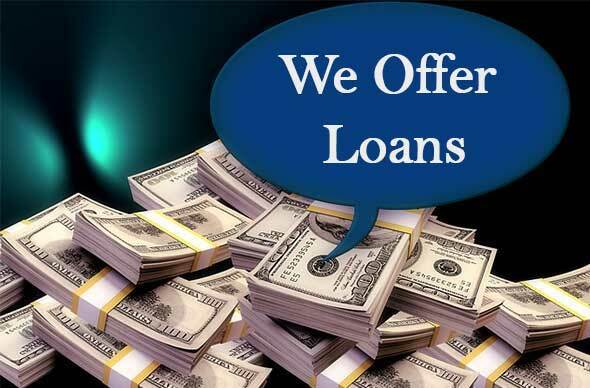 Loan Example: Period: 4 months, Loan Amount: $2500.00, Total Interest Paid: $201.00, Total APR: %24.12. All rates and terms of loans are strictly regulated by the State of California.